Ali has been spearheading the conservation of the critically endangered hirola antelope (Beatragus hunteri) in northeastern Kenya since 2005. With a global population size of <500 individuals, its extinction would constitute the first loss of a mammalian genus in 80 years. 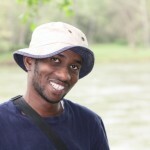 Bio: Ali is a wildlife Biologist working with the National Museums of Kenya. 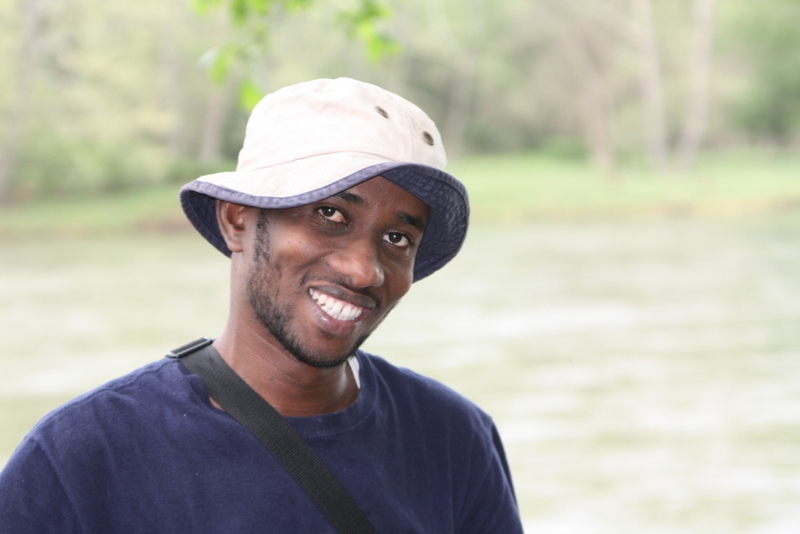 His PhD dissertation focusses on the population ecology of hirola (Beatragus hunteri), an antelope restricted to the Kenya Somali border and arguably the world’s most endangered antelope. 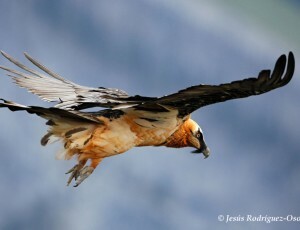 What led you to a life in conservation? I am a Kenyan national born in Garissa, Kenya and come from pastoral (ethnic Somali) community. I have been involved in wildlife conservation projects in Kenya for the last 10 years, particularly in North-Eastern parts of Kenya. In these areas, I have been involved not only in wildlife research, but also in grassroots conservation and outreach programmes. I got into conservation because I was born and brought up in wilderness areas and I have watched several wildlife species dwindle over the years in my native home. I was particularly alarmed by the rapid decline of elephants, hirola and the reticulated giraffes and this triggered my conservation career. Most people will never have heard of the Hirola, so what can tell us about this unusual antelope? I have been spearheading the conservation of the critically endangered hirola antelope (Beatragus hunteri) in northeastern Kenya since 2005. With a global population size of <500 individuals, the hirola is the world’s most endangered antelope; its extinction would constitute the first loss of a mammalian genus since that of the thylacine in 1936. Ecological knowledge gaps, weak local involvement, and political turmoil on the Kenya-Somali border have hindered hirola conservation since the 1970s. Unlike many endangered species, the historic range of hirola occurs entirely outside national parks and other formally protected areas, so their fate hinges on an ability to understand and manage jointly for conservation and human livelihoods. In 2010, I initiated a collaborative effort – the Hirola Conservation Programme www.hirolaconservation.org – to understand the reasons underlying hirola declines, and to work with Somali communities and other stakeholders to curb these declines. How does your PhD research hope to tackle these declines in hirola populations? I am assessing the importance of predation and deteriorating range quality for demography, movements, and habitat selection. 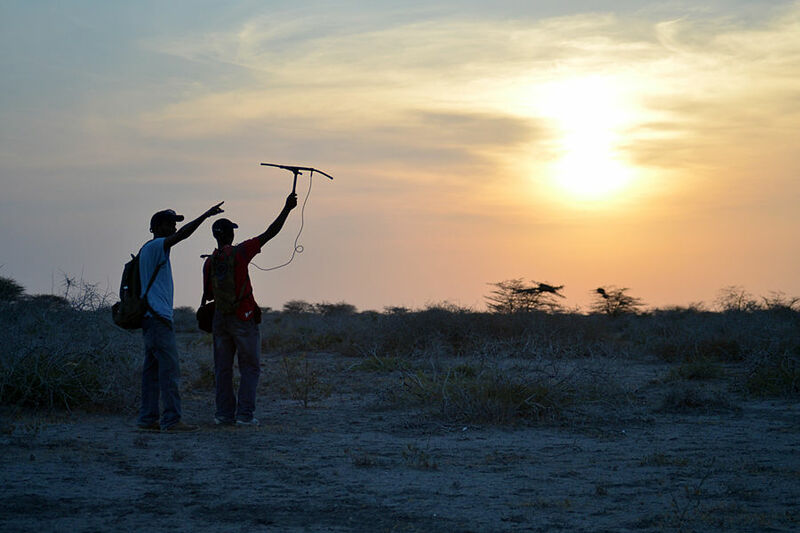 Through a combination of GPS telemetry, analysis of long-term satellite imagery, a large-scale predator exclusion zone, and sustained community outreach, the Hirola Conservation Programme is informing national policy on this little-known species. My commitment to wildlife conservation is a lifelong quest and in the coming years, hopefully results from my work will be used to formulate a much-needed national strategy for hirola conservation. TOP: Ali with an assistant in the field. 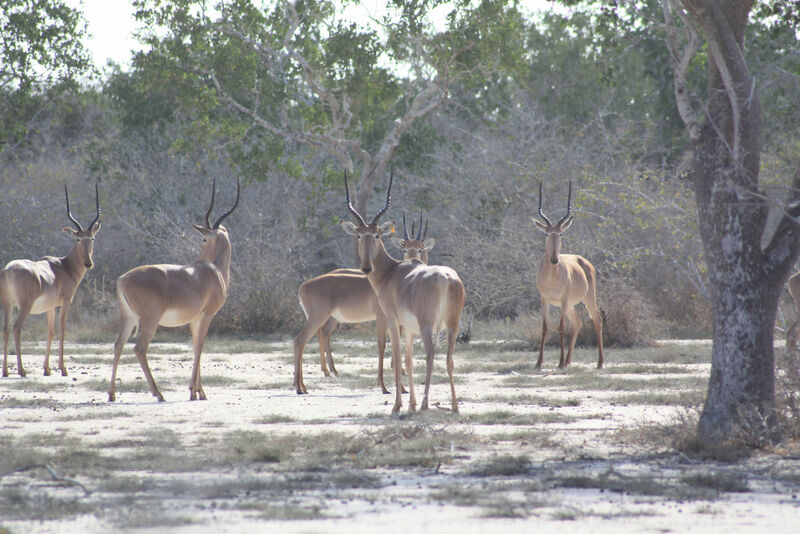 BOTTOM: A herd of Hirola in a predator proof sanctuary. "Ecological knowledge gaps, weak local involvement, and political turmoil on the Kenya-Somali border have hindered hirola conservation since the 1970s." 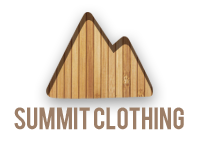 Tell us about your research site? I work in the remotest part of Kenya along the Kenya-Somali border and I get there by road. Specifically, my study site is approximately 500Km southeast of Kenya’s capital (Nairobi) and takes more than 8 hours of undulating rough road driving to get to my campsite, strategically located on a dry but cool river floodplain. I stay in a small tented campsite with my field assistants and other community scouts. Here locals (like many other pastoralist in other parts of the world) primarily depend on meat diet and it is not a surprise to have goat meat for breakfast. For those of us who are vegetarians, this is not a recommended holiday destination. Here, insecurity resulting from poachers thrives and is facilitated by the unmanned border that is over 800 Kilometers long. Rainfall is erratic, bimodal and often disrupts road networks. There is no single tarmac road in the area and its common to get stuck in the mud and spend several nights on the road. You have five pieces of advice in conservation that you live by, can you share them us? Patriotism: It is my home area and I therefore feel obligated to lead conservation in this region. Patience: It takes a long time to achieve any tangible results in any field (i.e. 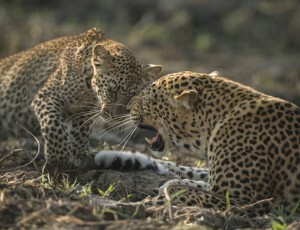 business, sport) and so is conservation. Therefore, patience and dedication are my secret to doing conservation. 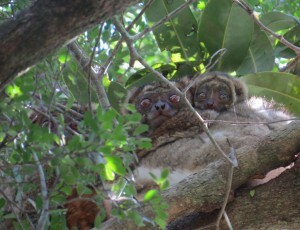 Passion: I love conservation and I love what I do. This is probably the best career in the world that combines my passion and career satisfaction to make a difference in the world. Optimism: I always have hope that things will change and change for the better in the future, therefore cautious optimism always drive my course. 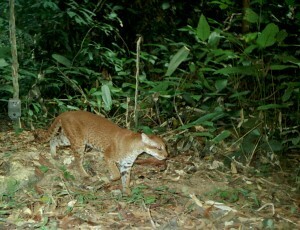 International support: I network throughout my professional life and this is critically important for sharing the plight of the target species and also for generating wider support base. 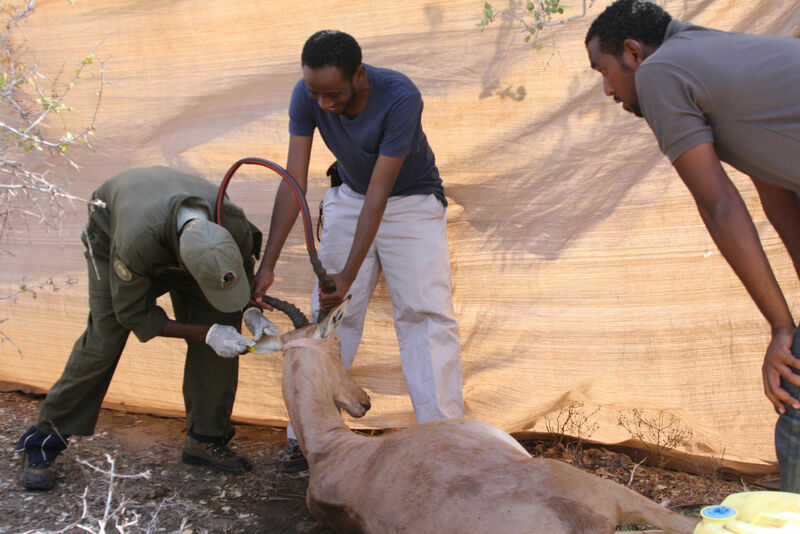 TOP: Ali and vets collaring a Hirola. 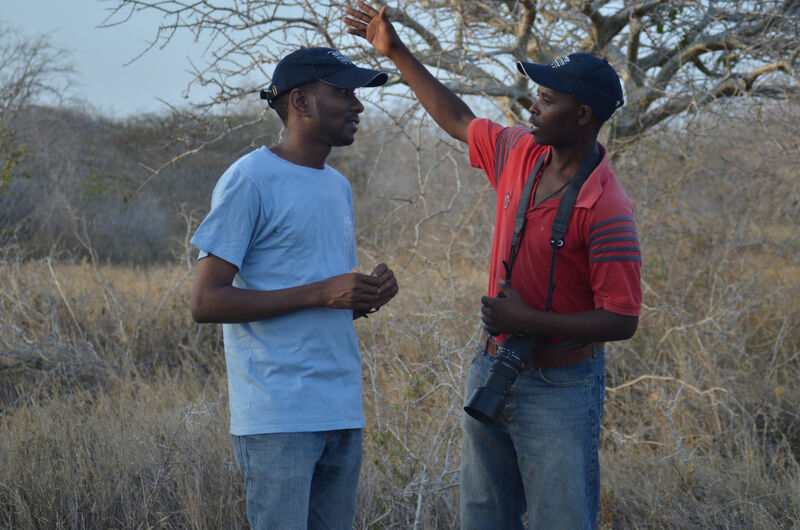 BOTTOM: Ali and community scout tracking Hirola. "It is my home area and I therefore feel obligated to lead conservation in this region." If you could look to the future, what would you like to achieve within your project across the next five or ten years? I would like to establish and sustain a conservation programme to make lasting contributions to the future of hirola antelope and of local communities within the hirola’s geographic range. In the next decade, I hope to protect and increase the numbers and distribution of hirola through evidence based conservation, longterm community engagement and international support. Specifically, I am hoping to see hirola down listed from critically endangered species to an endangered category by the year 2030. What has been your proudest moment/greatest achievement with the hirola project? For the first time in the history of the species, we successfully collared the world rarest antelope without any mortalities. Since then we have been tracking herds of hirola for the past two years in order to understand the demographic drivers of population decline. 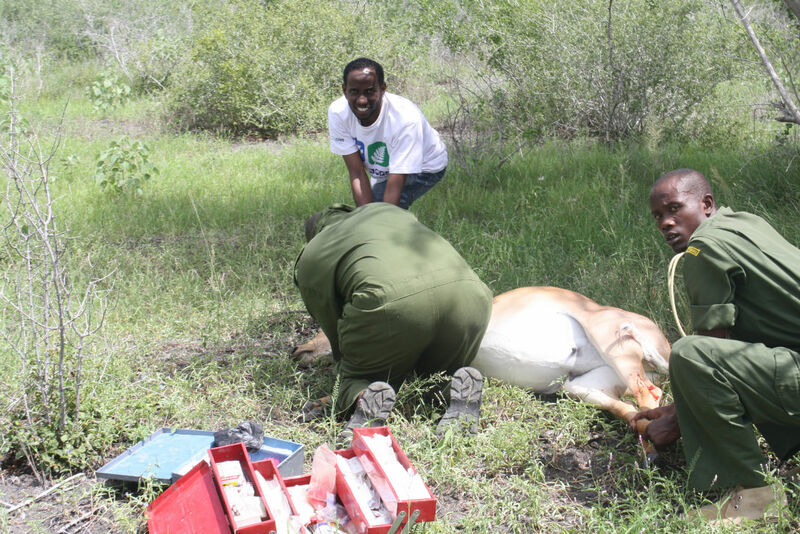 TOP: Ali and vets processing a female Hirola. 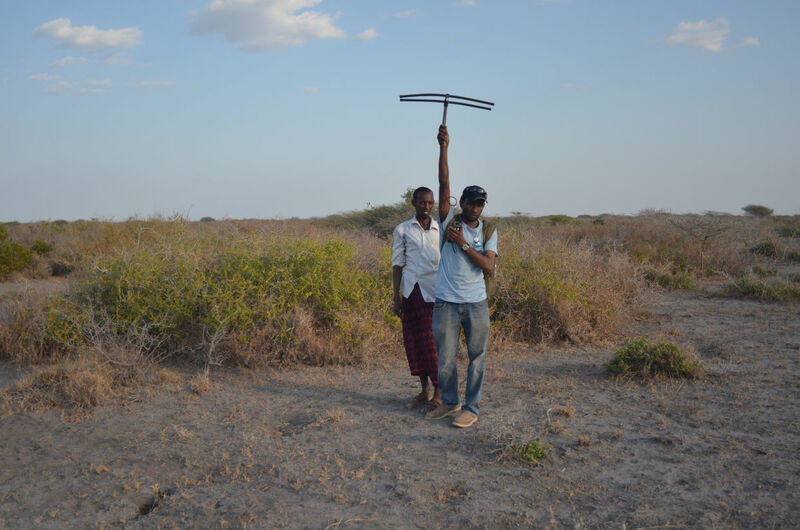 BOTTOM: Searching for Hirola on the Kenya-Somali border region. 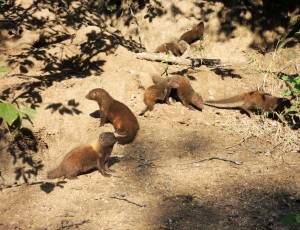 This research was partly made possible by the Zoological Society of London. How important was the EDGE of Existence Fellowship to your development? The EDGE Programme of the Zoological Society of London was an important stepping stone for me and strong foundation pillar in my conservation career. In particular, this programme has exposed me to a whole range of opportunities, networks and colleagues that made my work and my career much more enjoyable than I ever thought.